Portugal, Spain, Italy and the Czech Republic have created the EuroNanoLab consortium, an initiative to establish a large-scale distributed nanofabrication research infrastructure and expertise to increase the quality, efficiency and relevance of European basic research within nanotechnology. 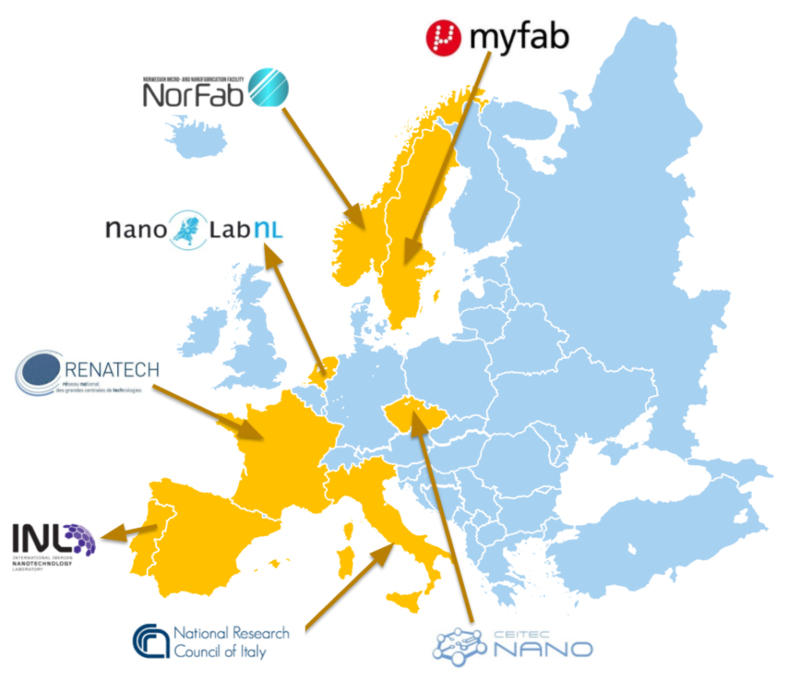 In Europe, there are at least seventy European university nanofabrication centres of large or medium size, which develop their know-how without any real coordination. Conscious of this dispersion, several European countries have already created national networks of academic cleanrooms to foster collaboration at the national level. This consortium currently includes 26 academic clean rooms, representing a total value of 1.5 billion euros and will be distributed on a European scale and will be able to develop a common strategy and support major European programs such as the Graphene, Human Brain or Quantum Flagships, as well as major European programs. which will undoubtedly emerge later. For more information on the project visit the EuroNanoLab website . Latest news regarding the EuroNanoLab project.